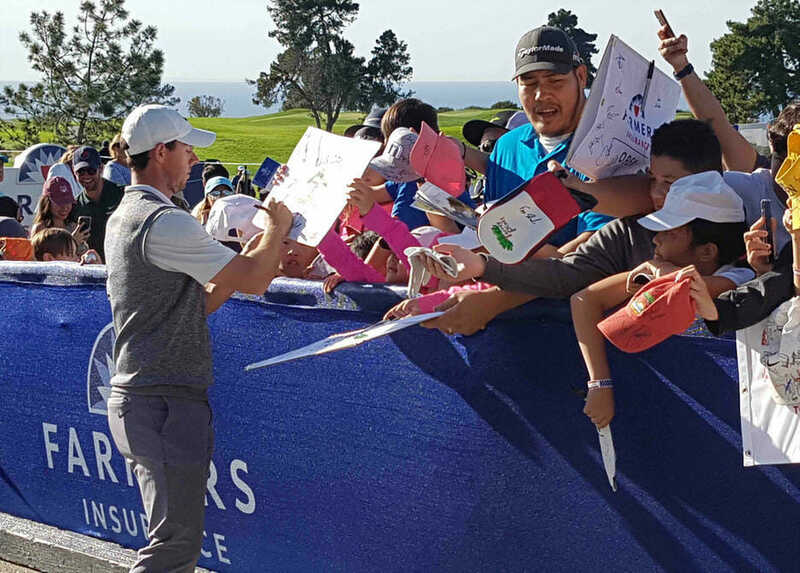 Rory McIlroy finds himself once again in familiar final round surrounds, this time heading to the last day in his first appearance at the Farmers Insurance Open at Torrey Pines. McIlroy will tee-up on the South Course sharing sixth place at 11-under and seven shots adrift of victorious Ryder Cup team-mate, Justin Rose who continued to make somewhat of a mockery of packing a complete set of new and untried Japanese Honma clubs in his bag for the event by carding a round of 69 to remain three shots clear of his rivals for a 18-under par tally. Rose grabbed a ninth-hole eagle along with six birdies but also posted two doubles in his round as well as a bogey at his last with the Englishman having won just once before in the first month of a new year in his 21-year pro career, that was in capturing the first of 23 worldwide victories at the 2002 Dunhill Championship in South Africa. Now Rose looks set to win for a 10th time on the PGA Tour. “Yeah, obviously delighted with how I’m playing this week. Felt like I’ve kind of clicked into a nice little rhythm being quite focused. I think that really sort of worked on my mental sharpness I suppose from Palm Springs last week into this week,” said Rose. Adam Scott celebrated Australia Day with a ‘best-round-of the-day’ 65 to muscle his way into second place at 15-under par with Spaniard Jon Rahm (68) third at 14-under. Scott, competing in his first event of the New Year, began his round with a birdie at the first and then brilliantly holed a 103-yard wedge shot for eagle ‘2’ at the par-4 second hole. Scott and Rose are the best of friends, with their friendship going back to 2000 when both players were competing on the European Tour but Scott knows that this Farmers Insurance Open is now Rose’s to lose. “If Justin plays like this, he’s going to be very hard to catch because I thought shooting 7 under, maybe I could make up more than two today,” said Scott. 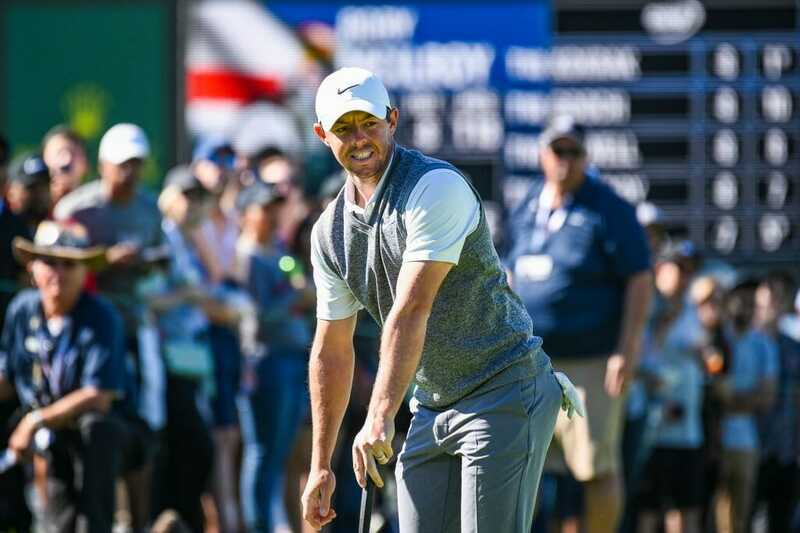 Yet again, McIlroy goes into a final round well inside the top-10 and staring at what would be in this case, a probably top-three finish at best. “Right now obviously Adam’s a little closer to Justin than I am so I will ust trying to play for second place right now,” said McIlroy.